All listings ship for FREE in the United States. Inspired by the Fredrick Meijer Garden's "Butterflies are Blooming" exhibit. It is as if you were transformed into another dimension here. From a snowy slushy day in March to warm humidity with smells of rain and tropical orchid fragrances! A glowing sparkling butterfly flits by...you count 1, 2, then 5, ! Look over here! More! Some are shy, some are big and fly clumsily. All colors, shapes and some are even clear! They won't last , they aren't permanent, they are in transition from one life to another. From caterpillar to chrysalis, to emerging butterfly! Existing briefly... As fleeting as a flower's life. 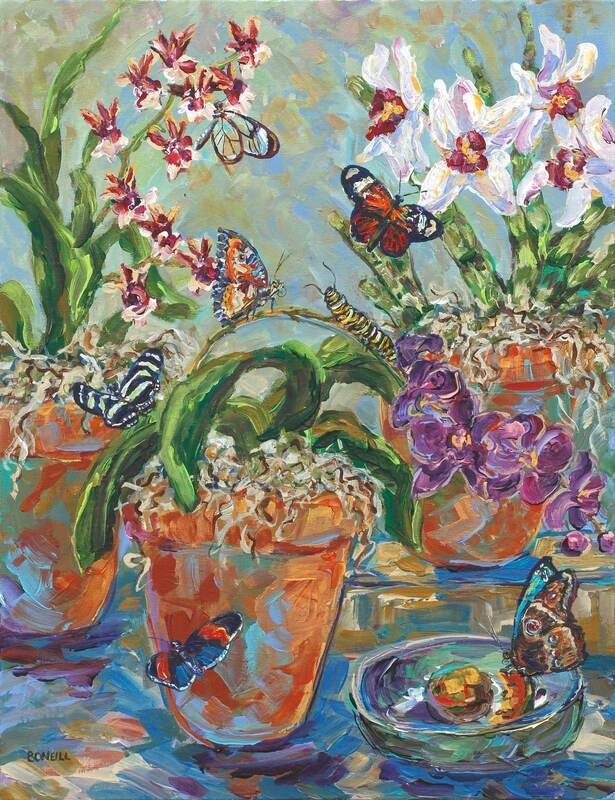 The orchids and butterflies mingle, sharing this dimension with us for one transient glorious moment!